As Tallahassee natives, Titus and his wife Colleen are thrilled to have their young, budding family grow up in the beautiful City of Tallahassee. Working at Joe Manausa Real Estate provides a wonderful opportunity for Titus to serve the community he grew up with, and knows so well. He has always had an interest in the Real Estate market, and helping people with the big decision of buying and selling their home is something he takes great joy in doing. Titus was originally born in Visalia, California and raised for the early part of his childhood in Oahu, Hawaii. After moving to Tallahassee in 1995, Titus stayed all the way through his college graduation. Titus attended Trinity Catholic School for his elementary education. While in High School, Titus spent his first two years at Leon High School, and his Junior and Senior year at John Paul II Catholic High. He played 3 years of varsity basketball at the schools, and also enjoyed the distinction of being named a top 150 player in the state by Breakdown Magazine. Upon graduation, Titus spent 4 years at the “Harvard of the South”, Florida State University. While there, Titus served as President of the Catholic Student Union, and graduated with a degree in Humanities with a focus on Communications. Two short days after Titus’s graduation, he moved to Washington DC and began work as a sales associate at Spicer Insurance Agency, a top producing Insurance Agency serving Virginia, Maryland, and DC for much of the last 50 years. This experience was truly a “sink or swim” moment, as the fast paced nature of sales in Northern Virginia was quite a contrast compared to the slower pace of a Southern University like Florida State. Titus eventually learned the ropes and realized success in this line of work, many thanks to the great mentorship of Frank Spicer, the owner of the Agency. Titus learned a great deal from this job, most especially the importance of top notch service when dealing with clients looking for an expert to help meet their needs. I know you'll love my newsletter because it's filled with insider tips for healthy, wealthy, and happy living. Just fill out the two pieces of information above, click "submit," and I'll send a FREE issue of my Tallahassee Life! newsletter to you each month. Titus, and his then fiance Colleen eventually made their way back to Florida, as Titus worked as a Regional Director of a Non for Profit Organization focused on the mentor-ship of young men. Jacksonville was suitable home for the Nixon’s for a time, but Tallahassee was calling, and they moved back “home” in August of 2011. The Nixon’s have also spent a considerable amount of time on the road, as Colleen is a very established singer songwriter, with her musical roots in Nashville, TN. You can preview her music at www.colleennixon.com. Titus and his wife Colleen have a 16-month-old son, Benedict, and a child on the way due early November. 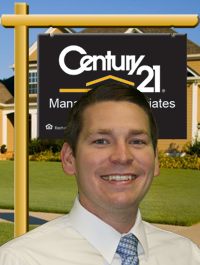 Titus, congratulations on joining Century 21 Manausa & Associates. Great job Titus! Best of luck...I will use and recommend you whenever possible. BTW...I already get Tallahassee Life and enjoy it. I am looking forward to it as well! Thanks for the encouragement. Mark- I appreciate the future referrals. I will treat them well! Best of luck......am sure you will a great addition to joe's team !! !